The plan: In advance Matt mailed me a bunch of fake dinner menu brochures from Joe’s Stone Crab (her favorite restaurant). Inside the “menu” was a collage of photos of the two of them from the years they’ve been together with a sweet personal message in the middle. On the bottom it said: Will You Marry Me? 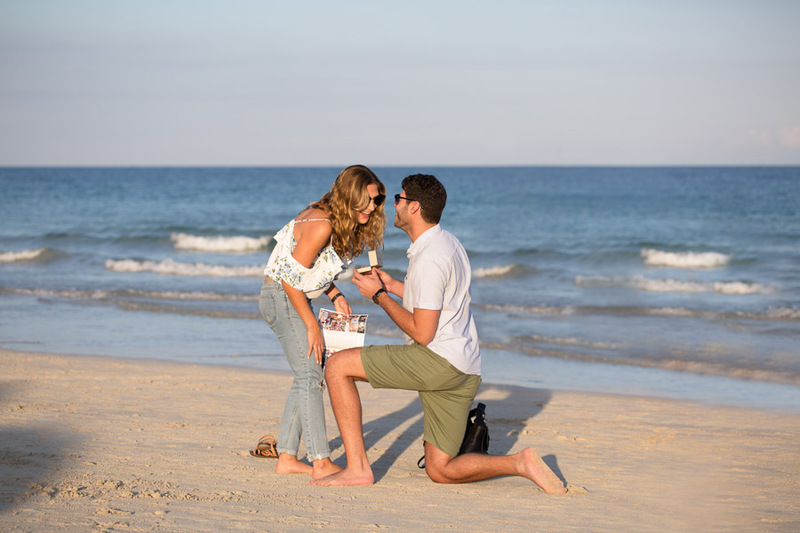 The day of the shoot: At 4:30pm I casually went over to them as they were walking on the beach, handed her a menu and said “join us at Joe’s Stone tonight!”. She said thank you and I walked away from them. I quickly pulled out my camera and captured her reaction as she opened it and he went down on one knee. She was completely shocked and unsuspecting, and her reaction was priceless. 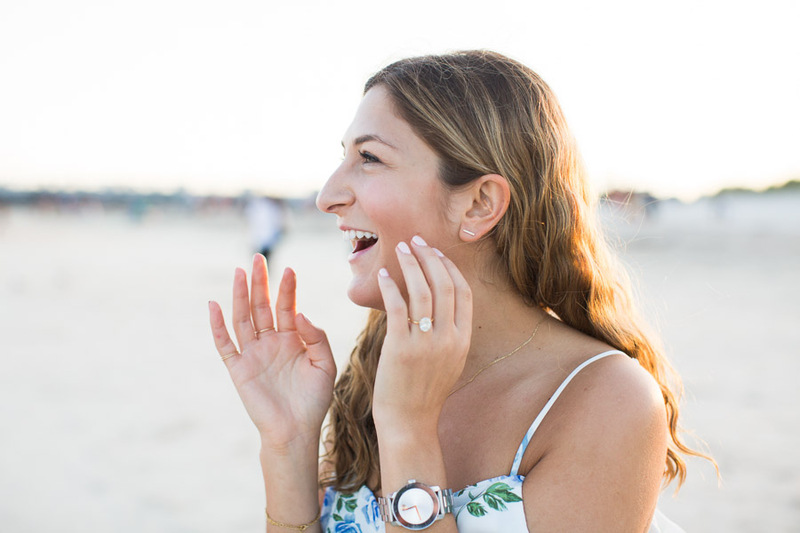 I had worked with Tova in surprising my now fiancé during my engagement. She was extremely professional, kind, and super talented. The pictures came out incredibly well and we can’t stop looking at them. I would absolutely recommend Tova to anyone looking for a photographer! I cannot stress enough how big Tova’s role was in the most important day of our lives and how far she exceeded our already high expectations! Tova, thank you SO SO much, our day couldn’t have been half as special with out you! WOULD GIVE 10 STARS IF I COULD!!!!! So incredibly happy for these two!! 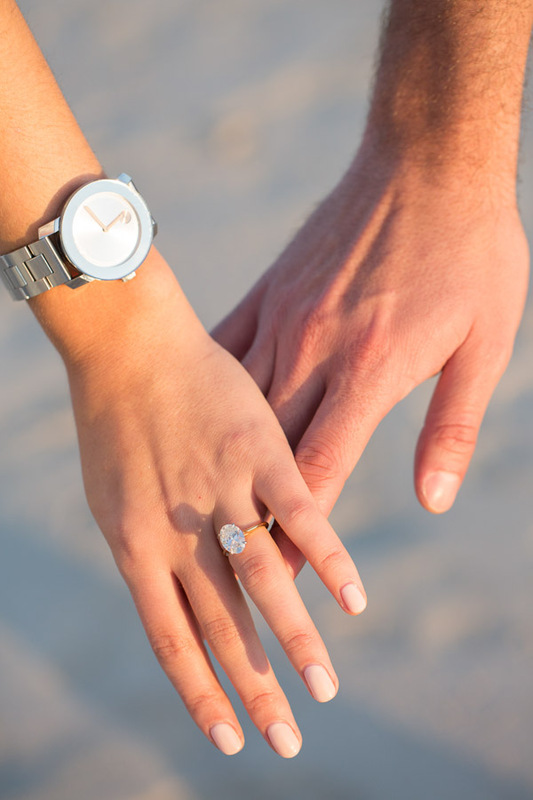 You can see other surprise proposals on the blog. 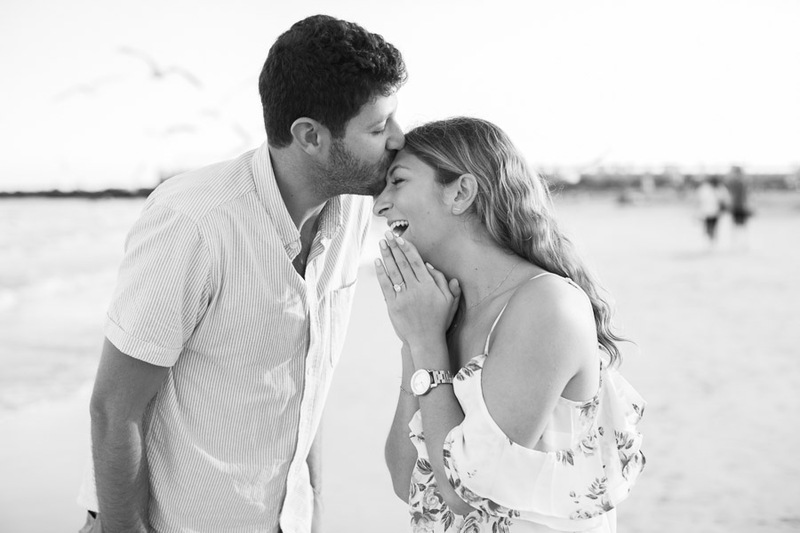 This South Beach surprise proposal photographer session took place on the beach by South Pointe Park. All of the couple photography sessions can be seen here. 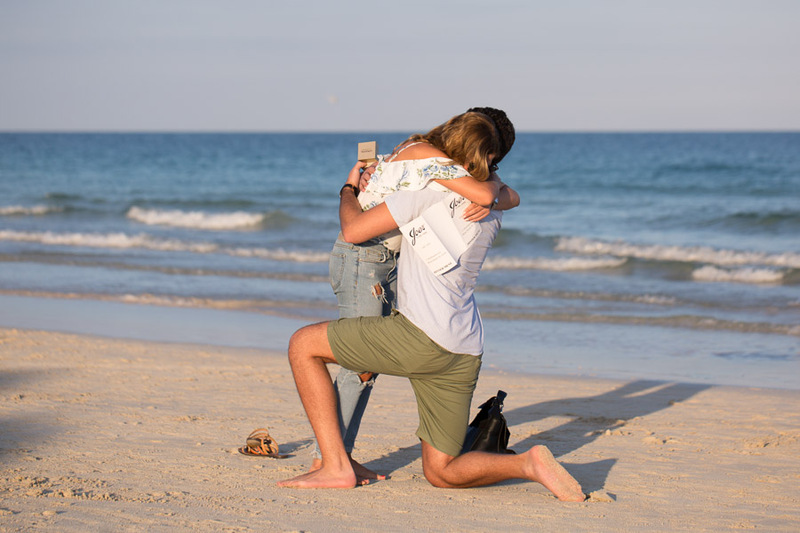 If you are looking for a South Beach surprise proposal photographer, fill out the contact form. 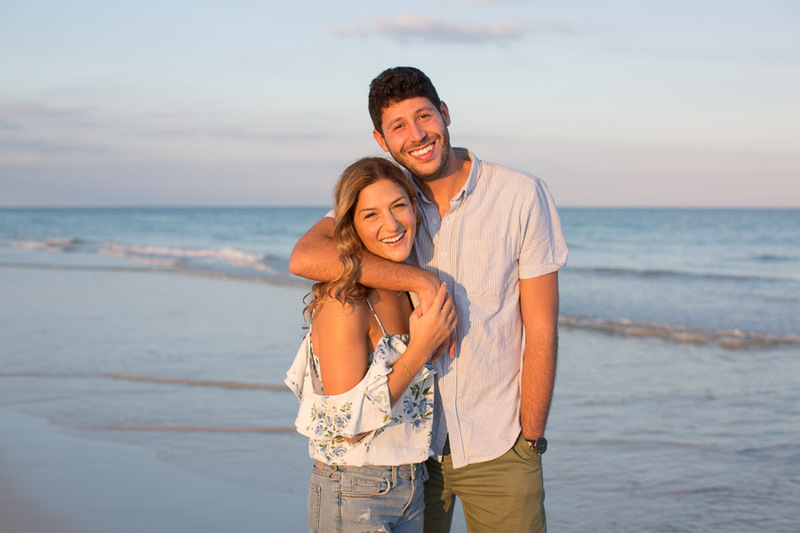 This entry was posted in Couples, Surprise Proposals and tagged Couples, engagement, Miami Beach, miami couple photogapher, Miami Engagement Photographer, miami proposal photographer, proposal, south beach, South Pointe Park, surprise proposal on June 28, 2018 by Tova Photography.